Legend has it that hidden in the remote reaches of the Himalayan mountains lies a secret that would have saved Ponce de Leon from years of fruitless searching. There, generations of Tibetan monks have passed down a series of exercises with mystical, age-reversing properties. Known as the Tibetan Rites of Rejuvenation or the Five Rites, these once-secret exercises are now available to Westerners in "Ancient Secret of the Fountain Of Youth." Peter Kelder's book begins with an account of his own introduction to the rites by way of Colonel Bradford, a mysterious retired British army officer who learned of the rites while journeying high up in the Himalayas. 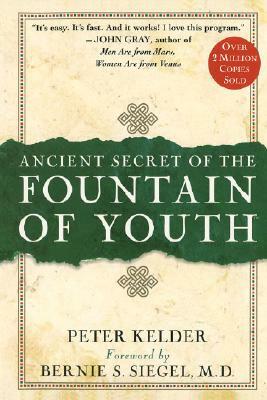 "Fountain of Youth" then offers practical instructions for each of the five rites, which resemble yoga postures. Taking just minutes a day to perform, the benefits for practitioners have included increased energy, weight loss, better memory, new hair growth, pain relief, better digestion, and just feeling younger.